Not so much reading done this month. Farleigh Place is removed from the war by more than just miles. While bombs rain down on London just an hour away, life goes on as usual at this Downton Abbey-like estate in the countryside. 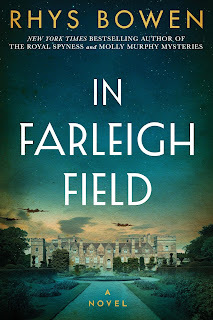 Hampered only by a skeletal wartime staff, a dwindling supply of meat coupons, and an army regiment that's taken up residence at the big house, Farleigh is almost too idyllic to be real—until one night, when a soldier with a failed parachute falls to his death on the grounds, and the war literally hits home for Lord Westerham and his five daughters.